KAWS was born in 1974 in Jersey City. Growing up in a state in the northeastern and mid-Atlantic regions of the United States, he became interested in graffiti in elementary school, where he would spend hours just copying graffiti images to paper. His first influences were neighborhood children, who painted graffiti images on walls within his community. KAWS spent his high school years graffiti-bombing trains, walls, and billboards. He honed his street-art act in New York City, hanging out with the spray can–wielding skate kids in downtown Manhattan. KAWS graduated to a more covert form of interventionist street art in the mid-’90s, when he began unlocking the glass panels encasing bus stop and phone booth ads, stealing the poster, changing it and putting it back. Later, moving to New York City in the 1990s, KAWS continued subverting imagery on billboards, bus shelters, and phone booth advertisements. These reworked advertisements were at first left alone, lasting for up to several months, but as KAWS’ popularity skyrocketed, the ads became extremely popular and his fans would search the entire city to find and take them home. 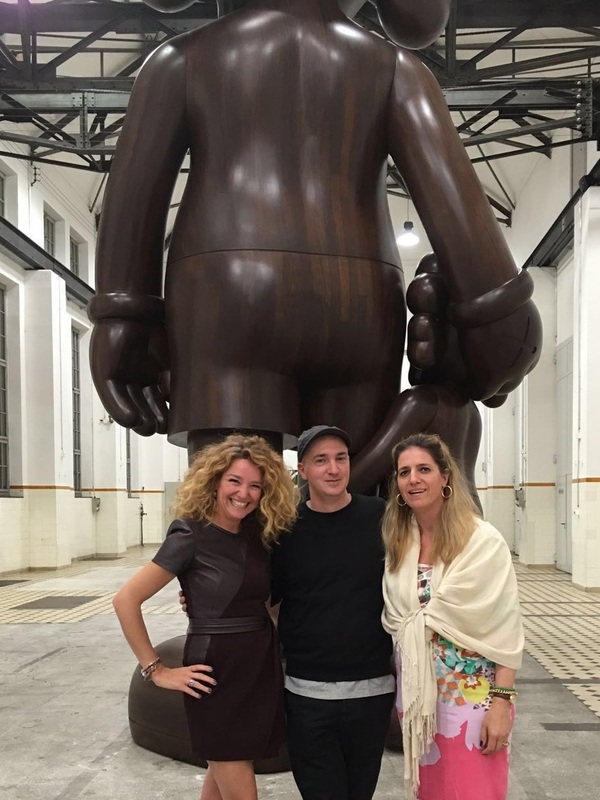 In addition to New York, KAWS has done interventions in Paris, London, Berlin, and Tokyo.